Singapore Carpet Cleaning: Effective Ways In Carpet Cleaning. Effective Ways In Carpet Cleaning. There are different methods for cleaning your carpet in Singapore. It can be hard to find the most effective way since there are a lot of different kinds of carpets. This short article provides some highly effective methods of cleaning carpet. For regular cleaning in Singapore, a tried and tested way is by using a mild carpet shampoo. Some carpet shampoos which contain harsh substances are only to be used in the event of quite a heavy staining. In this procedure, you only have to apply a sufficient amount of the carpet shampoo or solution on the carpets to form the foam. The foam soaks up the dust and dirt. Just leave the foam to dry and when it dries it then becomes brittle and therefore separates itself from the carpet fibers hence anybody will just quickly clean the carpet with a vacuum cleaner to collect the residues. It is said that shampoo cleaning is one of the most common methods in carpet cleaning since anybody can just do it by themselves with just the use of carpet shampoo and vacuum. However, one should be cautious in purchasing the proper shampoo cleaner since some strong shampoo may just cause permanent damage to carpets. Carpets serve many applications in our households, from floor insulation to covering unfinished flooring underneath to elevating the aesthetic quotient of the area. It is a common thing that carpet gets damage over several time. Heavy foot traffic causes the carpet to be vulnerable to stains. Moreover, domestic pets and children are often responsible for making your carpet dirty. Carpet cleaning solutions are exactly what you'll need at that time. These solutions are specially formulated considering the fabric of the carpets. Maintenance of a carpet takes time and loads of effort and is not so easy to keep your carpet in the same tip-top condition. Vacumming your carpet is not sufficient enough as carpets need a deep cleaning. People are very concerned when spots and spills and even pet hair soil their carpets. To revitalize the look of the carpet, reduce its wear and tear and also extending the life of the carpet we need to deep clean the carpets every twelve to eighteen months depending upon the cleaning procedures that have been recommended by the carpet manufacturer or the retailer. If a person is attempting to deep clean the carpet at home, he needs to select a good carpet shampoo, and then follow the direction for its applications to the core. You should always be aware as not to use soap, laundry, and dishwasher detergents or any other soap liquids or household cleaners. First, we need to vacuum the carpets thoroughly before applying any carpet solution. Pre-cleaning solutions are available as they loosen the stains and soil on the carpet before the actual cleaning process. Deep cleaning of the carpets is not a thing that is recommended to be done at home. So the best solution is to hire professionals for these jobs. You can get in touch with your friends or family members or even the carpet retailer to find you the best professionals. Lastly, you can always search the Internet to do your search. Professionals use five different methods to clean the carpets each one having its advantages and disadvantages. You should take proper advice from the professional you hire as to what would be the best method for deep cleaning your carpet. The first method, which is, dried out removal clean-up use a porous mix, which contains special detergents and the solvents, which are then infused in the carpet fiber with particularly planned machines. These solvents act like tiny magnets, which attract dirt, oil stains and soil from the carpet fibers. 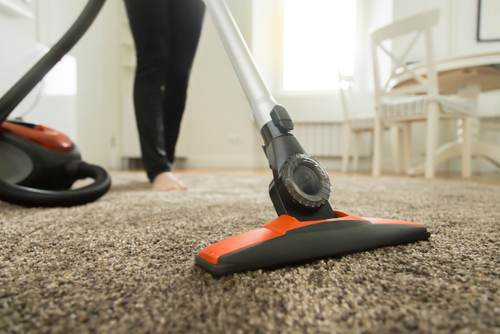 Vacuuming then removes the dirt and oil stains that have been loosened by these compounds is the best method for sturdy fibered carpets and mostly all synthetic carpets. It is also suggested for conventional fiber like the fur and yarn, which be supposed not to be bare to extreme moisture. The second method, which is known the dried out foam extraction method, uses foam, which has been created by a special detergent, which is applied to the carpet; this foam is worked into the carpet with machines that are specially designed for this purpose. The foam used is very much drier than a saturated solution and is also very less dense, and then this foamy solution is removed by through wet vacuuming. The third method is the Hot water extraction technique: This is known as the steam cleaning which a person can carry out at home. First, you have to condition soiled areas of carpet and then make use of particularly designed hot water extraction machine to infuse cleaning solution in the carpet. This will help in removing and loosening of the dirt, oil stains and soil from the carpet. You should always use caution when applying this method so that the carpet does become overly saturated resulting in its discoloration due to moisture content. The Rotary shampoo method is the classic carpet cleaning technique machine that has rotary brushes injects the cleaning solution into the carpet, which helps in loosening the soiled, and the stained surface of the carpet. Then soil is then removed by through vacuuming. The Absorbent pad method is the last carpet-cleaning method that should not be done by untrained people, and professional help should be taken. A Specially designed machine is used for removing the soil. This Machine has absorbent spin pads that can absorb soil from the carpet. This pad remains saturated with the cleaning solution so that no damage occurs to the carpet pile. The pads are changed regularly so that the carpets are not soiled. To keep the beauty of your carpet and also to add more years always check the recommendations provided by the carpet manufacturer, the cleaning equipment manufacturer and also the carpet-cleaning professionals. Your carpet should always be cleaned with the right deep cleaning method to keep its shine and beauty intact. 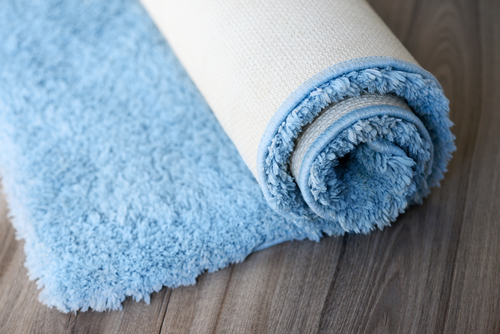 So to preserve your carpets in the long run follow the above procedures without fail.